NEWS – The Titan Underwater Drone will be displayed at this years CES conference. 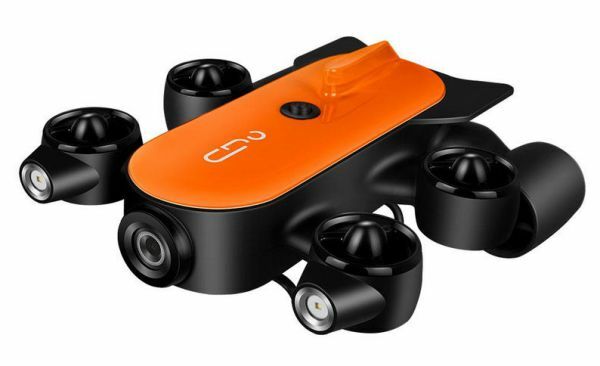 The drone is a product of Geneinno, a technology company dedicated to the design of modern underwater equipment. 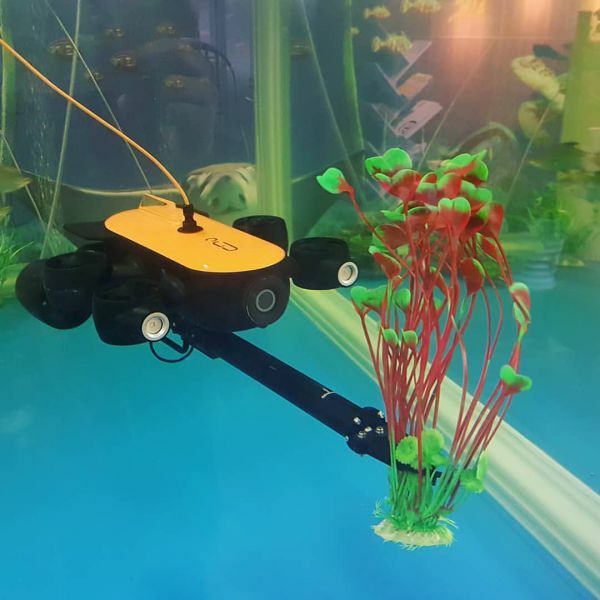 They characterize Titan as the world’s first underwater drone with a robotic arm. I’m skeptical that this is actually a “drone” since it must operate tethered and doesn’t make a droning noise when piloted. Furthermore, remotely operated vehicles have been used in the ocean for over 60 years and ROV Jason used to explore the Titanic with its robotic arm, is at least 30 years old. Superlatives aside, the Titan is still a neat bit of tech and last year’s model won the coveted Red Dot Design Award at CES. This years model is able to dive up to 492ft, making it the deepest diving underwater drone with a 4K camera, It comes with precise hovering, 3000 lumens of illumination, lens filter support, and is capable of high and low angle photography (-60° to 60° pitch). The Titan features self-balancing and anti-current algorithms for the best underwater performance. A port on the hull base can be used for attaching a robotic arm, hydrophone, sonar or other extension developed in the future. The Titan currently retails for $2,599 and includes the robotic arm. Visit geneinno.com for more info. Does it have to be tethered to a controller, or just to the surface? Likely the tether is just because water tends to block wi-fi, so they need some way to connect your controller. I just bought a similar drone via Kickstarter, and the tether is basically to a wi-fi hub. DStaal, you are correct on both counts. The tether is connected to an accompanying buoy. The buoy floats on the water surface and sets up an ad-hoc wifi network to which you connect via iOS / Android tablet or smartphone. The buoy provides better radio reception to the submersible and isolates it from your device so that a large wave doesn’t pull your device from your hands! Thanks for reading and for your comment.